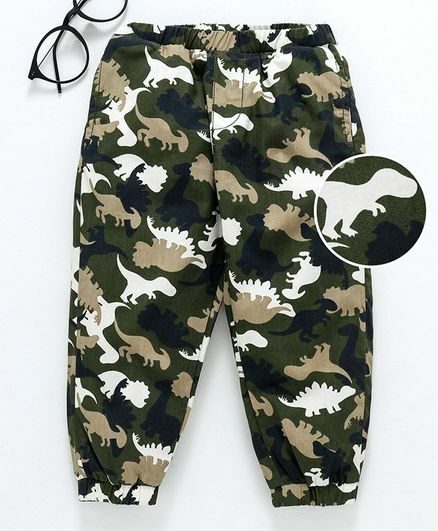 Offering the best of style and comfort, this trouser will be an ideal pick for your little boy. Stylishly designed from the house of Beebay, the trouser will keep your kid at ease the whole day. It features allover camouflage print and elastic waistband for maximum comfort. Styling Tip: Pair up this trousers with tee, and sports shoes for a perfect look.